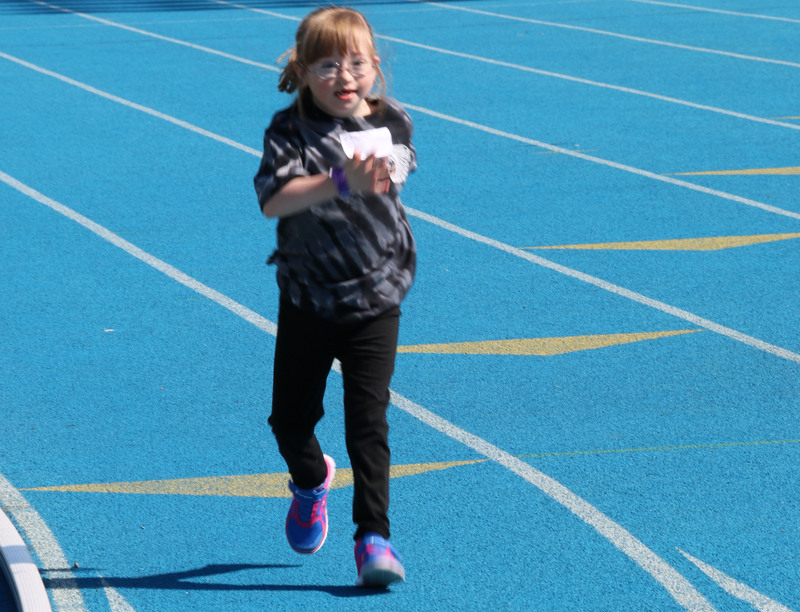 Brooklyn Schutte, a second-grade athlete of the Neoga/Sigel Indians Special Olympics team, loves to run, loves to smile, and loves to support Special Olympics Illinois East Central/Area 9. Brooklyn competed in the 100-meter race and the softball throw event at the 2016 East Central/Area 9 Spring Games at Eastern Illinois University, earning a medal in both of events. But not only is Brooklyn an amazing athlete, she is also a fierce fundraiser for Area 9. During the past two years, Brooklyn, her parents and family members have hosted fundraisers to provide financial support so that Area 9 can continue to offer free sports training and competitions, as well as add competition and family events. Last year, Brooklyn’s family was able to donate $871 from various fundraising efforts. This year, they almost doubled their donation to East Central/Area 9 with a total of $1,570. According to Lisa Swenny, Brooklyn’s aunt, the family was able to collaborate with a local deli, Wade’s Quality Meats of Shelbyville, to host two separate pulled pork sandwich fundraisers in April. Vanessa Duncan, SOILL East Central/Area 9 Director, visited Brooklyn at her school, Neoga Elementary School, to personally thank her for all her hard work. 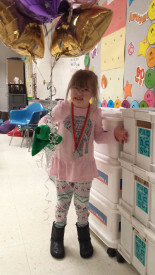 Brooklyn, who was wearing her silver medal from the Spring Games softball throw competition, was full of hugs and smiles as she accepted a balloon bouquet of stars and gladly posed for photo, flashing her heartwarming smile. “Brooklyn is a star of Area 9 and a joy to have as an athlete in Special Olympics Illinois!” said Duncan.